How STM works in Brussels? This was the main topic in a recent STM member care visit at Wiley-VCH in Weinheim during the last week in July 2014 and was suggested by Dr. Eva Wille, Vice President and Executive Director Global Chemistry, Wiley-VCH. During the 45 minutes presentation Barbara Kalumenos gave an overview about the STM trade association, the EU environment in Brussels, a look behind the scenes and explained the current dynamics that are taking place to form the next EU Commission. 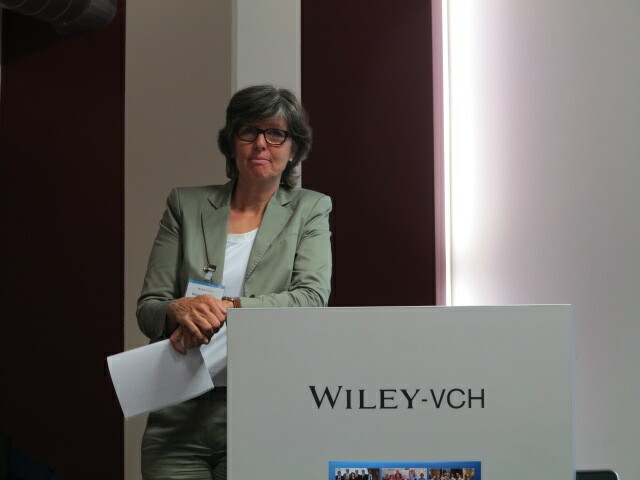 Her presentation was complemented by James Perham-Merchant, Director Governmental Affairs EMEA speaking about the Wiley GA approach and Eva-Maria Scheer talking about Open Access in Wiley. Questions and discussions in between those sessions showed that there were great interest to learn more about the hidden agendas and activities in Brussels but also to address the challenges in Open Access. On June 11, 2014 a tradition revived and for the first time after a long period of absence STM organized a Member briefing seminar in Tokyo. Over 50 local STM member representatives from 15 different member companies came to listen to three presentations outlining the current work of the STM Trade association and providing an overview about the STM market and the worldwide development on access to information (Open Access). While many of the participants may know the trade association from paper, this time the work and portfolios of STM became a “human face”. The Market overview was based on the STM Report, a study which is prepared by Mark Ware (Mark Ware Consulting & Outsell, Inc.) and Michael Mabe (STM) and will be updated with its third edition in spring 2015. This presentation and the overview of Open Access developments gathered particular interest which could be measured by the many questions/comments and lively discussion at the end of this afternoon. STM like to thank Eric Merkel-Sobotta, Executive Vice President for Corporate Communication, who supported this initiative and delivered the Open Access overview in his capacity of being a current STM Board member. Based on this positive involvement STM will have an internal discussion during its next STM Board meeting how to continue this fruitful seminar series and how to expand its outreach to this market.